I was able to capture this image thanks to a brief ten-minute break in a relentless rainstorm. The San Juan Mountains have earned the ominous nickname, "Storm Factory." After getting the shot I spent the entire night huddled in my tent with deafening thunder reverberating between the surrounding peaks. 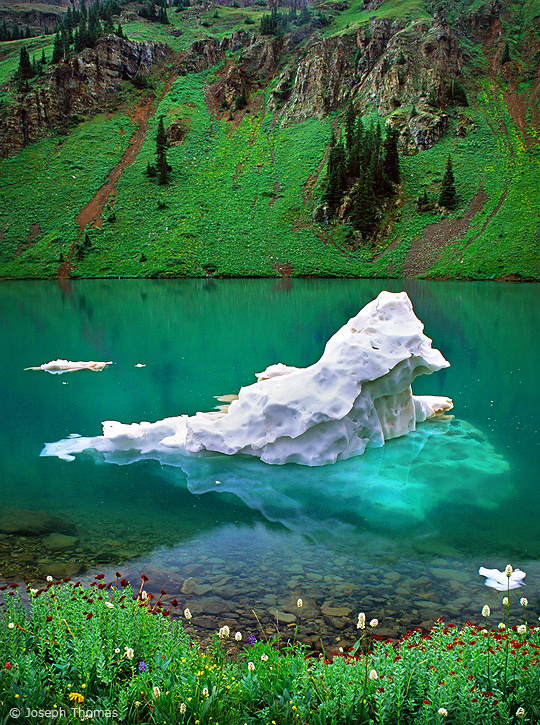 By the next morning, the iceberg had drifted to the far side of the lake and broken apart.